Caviar, Postmates, Uber Eats…the Bay Area’s tech family gave us food delivery apps. And there are plenty of gig workers willing to drive us this food. 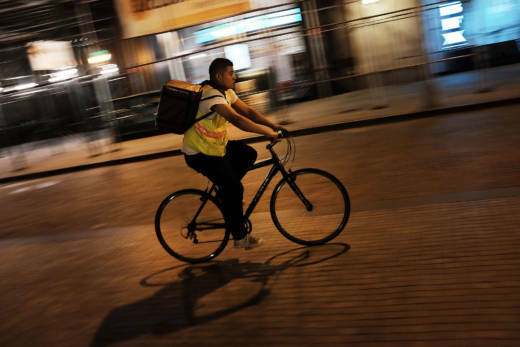 These delivery apps allow us to hole up in our office, work harder, faster and avoid human interaction. At least, that’s what one tech reporter fears. He says it’s not just consumers who are being conditioned by these apps. It’s the restaurants too.